Virat Kohli on Friday became only the fourth Indian skipper to pile up 4,000 runs in One-Day Internationals. Kohli, who needed just 27 runs to achieve the feat, accomplished it in his 66th ODI as captain during the third ODI against Australia in Ranchi. Kohli now joins the elite list of former skippers Mahendra Singh Dhoni, Mohammad Azharuddin and Sourav Ganguly. Kohli, who hit a century on Friday, has so far registered 19 ODI tons and 14 fifties from 62 innings as the Indian captain. 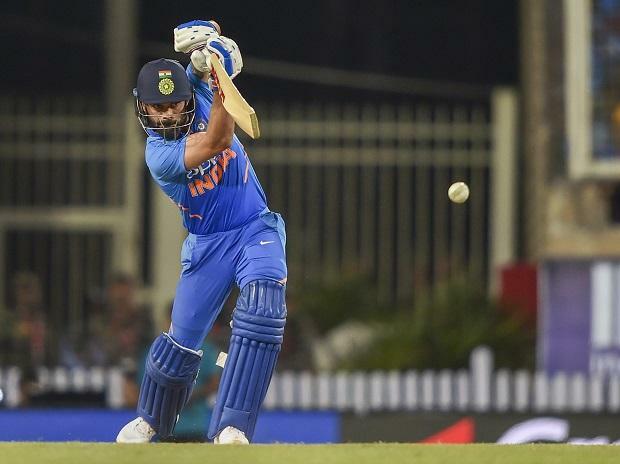 Kohli also became the fastest player to reach 4,000 runs in 63 innings, surpassing former South Africa batsman AB de Villiers, who reached the milestone in 77 innings.